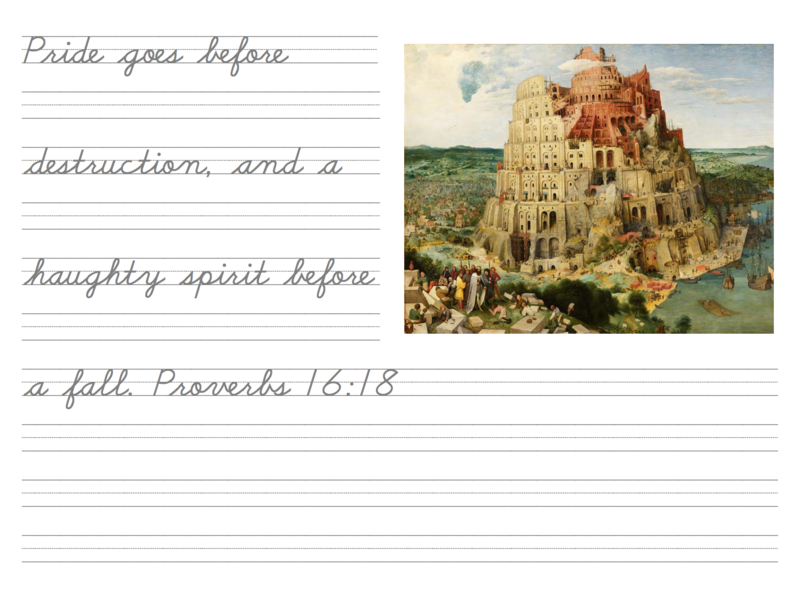 Our cursive copywork and art study program related to ancient history and world empire studies. 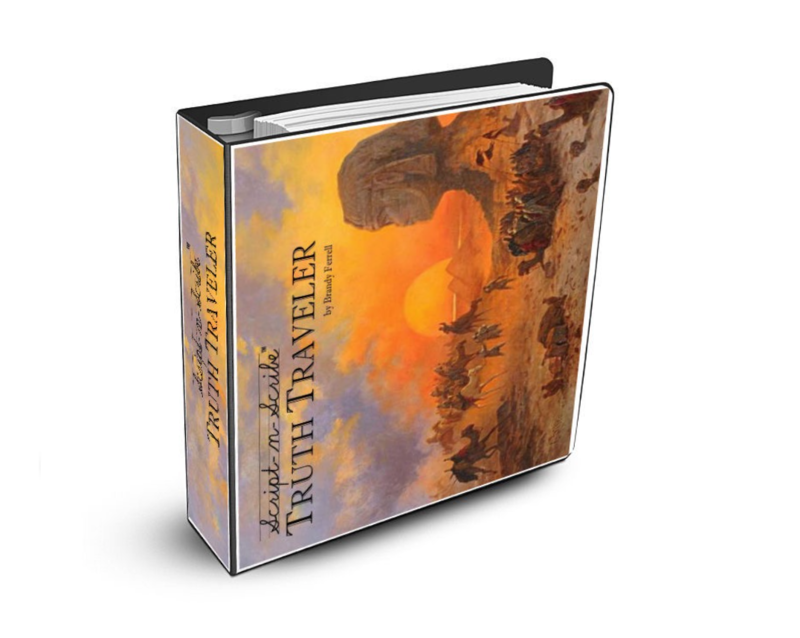 Features 12 poems and 13 works of art related to the rise and fall of empires and truths revealed through the ages. 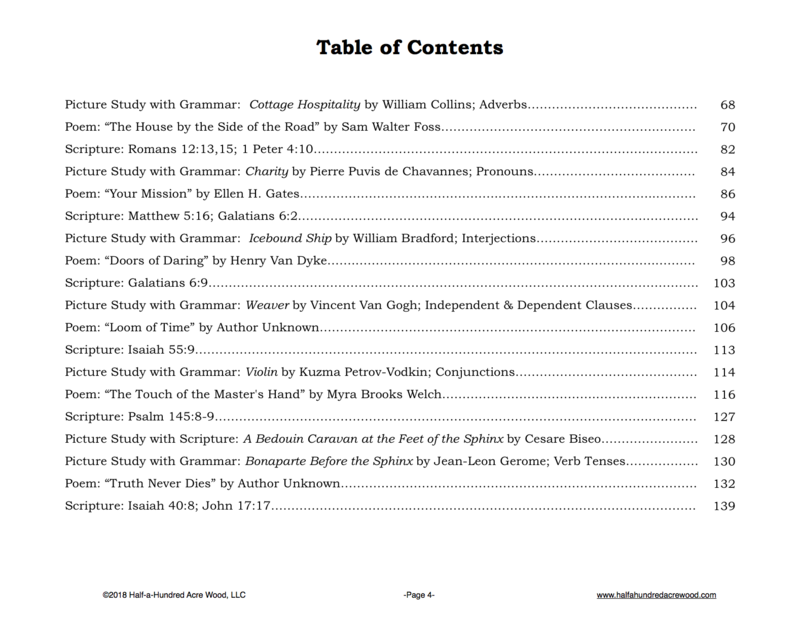 Format: PDF Download (Mac & PC Compatible), 146 pages. For individual family use. Download sample. 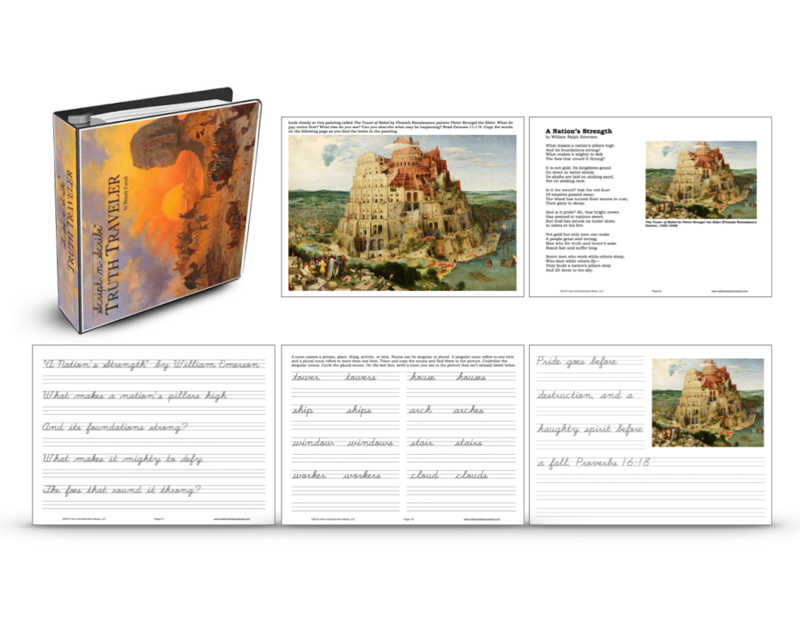 (The PDF includes an appendix with the poems and corresponding art formatted for printing as cards for reference or review.) For additional details and images from this program, click here. 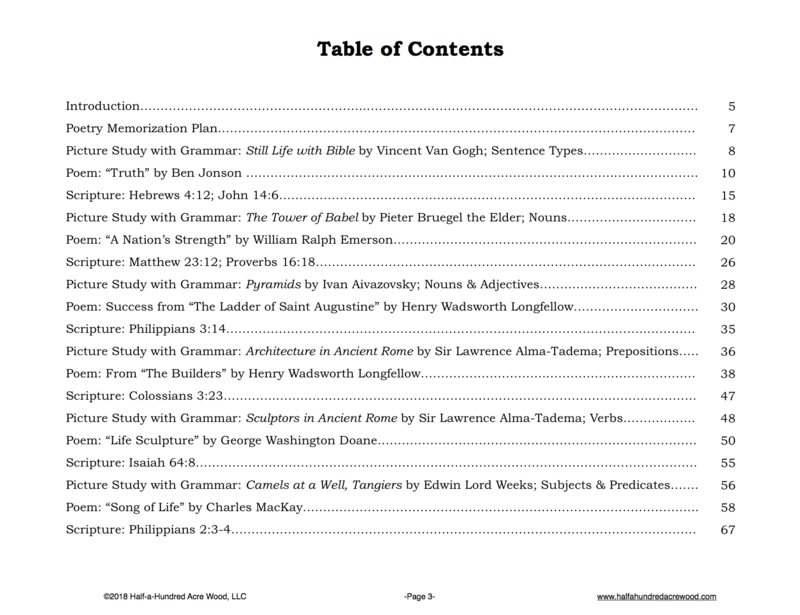 Note: This resource is not eligible for purchase through charter/public school programs due to religious content.